You don’t need to climb to the Sydney Harbour Bridge to get the best views of the city. 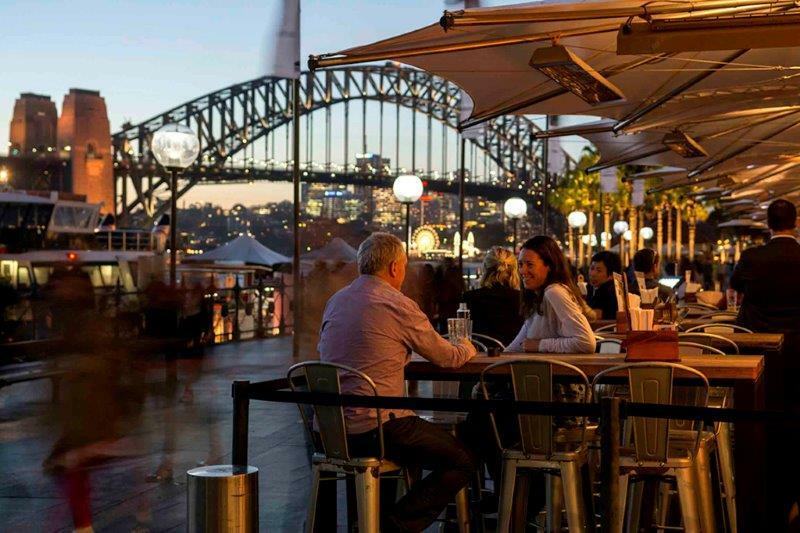 Bars and restaurants all over Sydney have taken advantage of the breathtaking views that Sydney has to offer. With venues showcasing views from the sky and sea level, these bars and restaurants are not just for tourists. 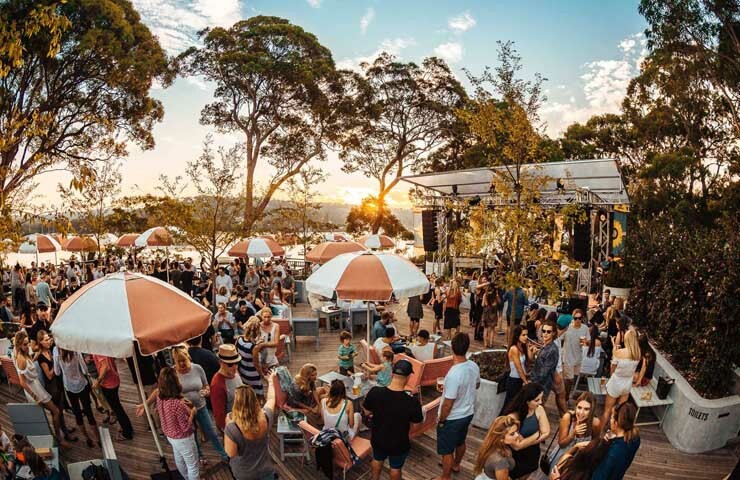 From the Sydney Harbour Bridge to Bondi Beach, the views at these venues will be sure to make you fall in love with Sydney for the first time or all over again. The Glenmore Hotel is an Australian icon. 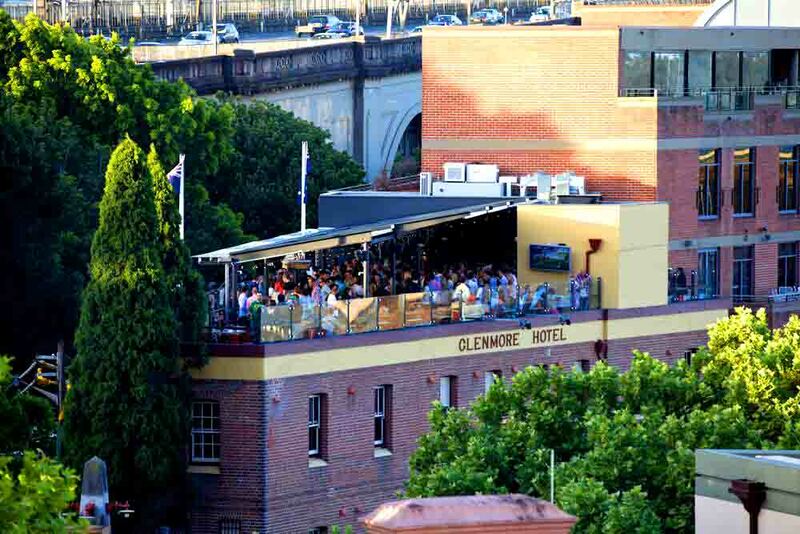 Built in 1921, The Glenmore is one of the few pubs in the Rocks to survive the test of time. 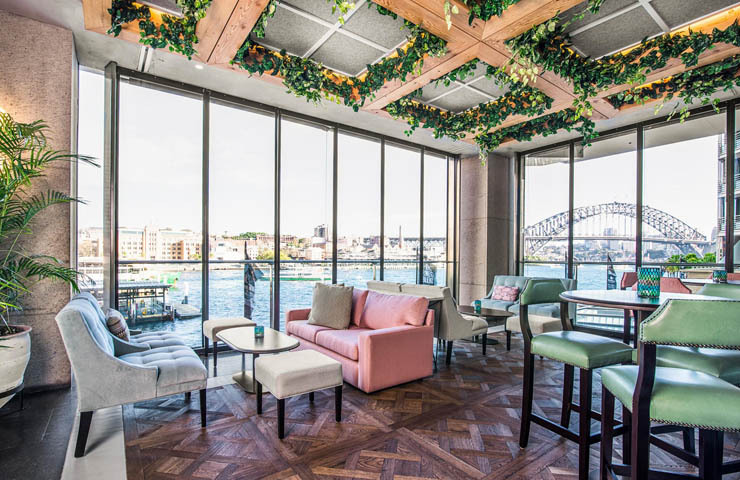 The ground floor has everything you’d expect to find in your local pub (minus the sticky carpet), but head upstairs to the recently renovated rooftop terrace to and you’ll find unparalleled 180 degree views of Sydney Harbour and the CBD. The charm and character of the original pub remains, with a relaxed atmosphere and casual style of service. It’s hard to get a better view of Sydney, and the retractable rooftop means you can enjoy it all year round. A favourite amongst both locals and tourists, The Glenmore fills up pretty quickly, so make sure you book or get in early for a table! After wandering around the city, go and get yourself a seat outside at Buckley’s. Positioned right on the water’s edge of Circular Quay, it’s the perfect place to settle in for a couple of drinks and people watch. Buckley’s focus is on Australia products and produce, with a huge range of specialty craft beers and a changing menu making the most of seasonal, local ingredients. Go between 5 and 7pm Monday to Friday to make the most of the happy hour. With $6 wines and million dollar views, you can’t go wrong. Located high above the city in Sydney Tower, 360 Bar and Dining is the place to celebrate your next special occasion. 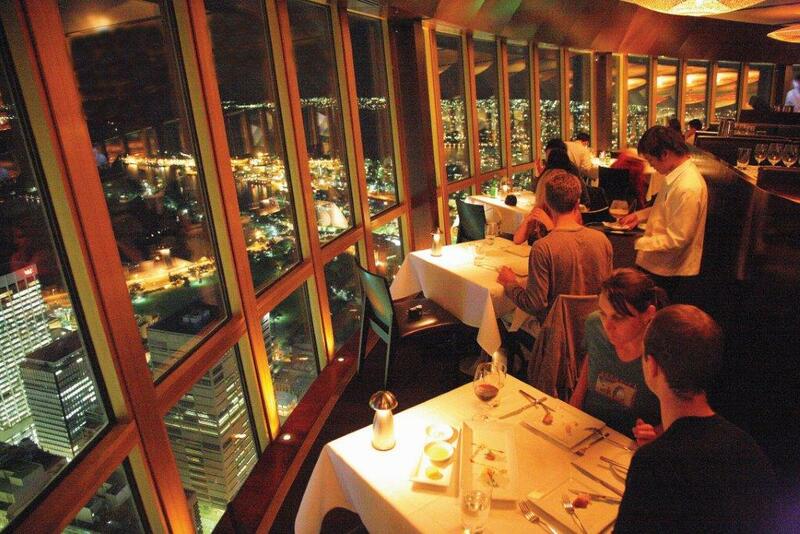 As the name suggests, the revolving restaurant offers 360 degree views from high above the ground. Regardless of how well you think you know Sydney, the expansive views of the city are sure to surprise and impress. The food, drinks, impeccable service and attention to detail are just as impressive as the views so make sure you book your table just before sunset to get both a daytime and night-time view of the city. No trip to Sydney is complete without a trip to Bondi Beach, and while you’re there, stop in at the Bucket List for a long lunch on the beach. 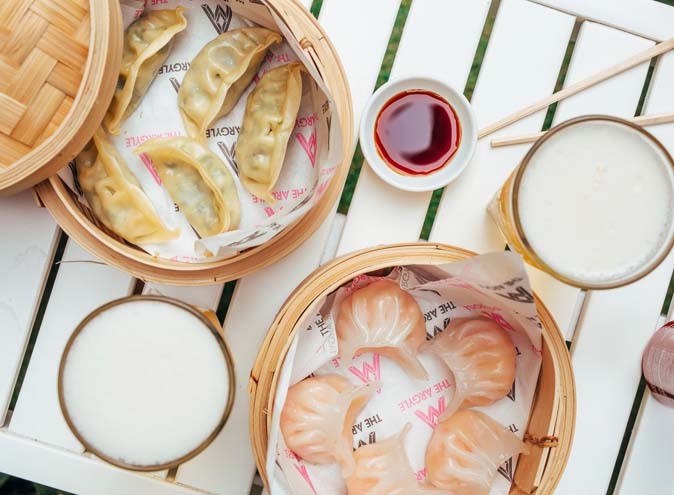 The Bucket List has a focus on local produce, sustainable seafood and environmentally friendly meat, as well as an impressive cocktail menu. Of course, the food and drinks are only enhanced by the incredible views of the famous Bondi Beach. The panoramic ocean and beach views are sure to impress out-of-towners and locals alike. Eating fish and chips and sipping cocktails right on Bondi Beach – doesn’t get much better than that! 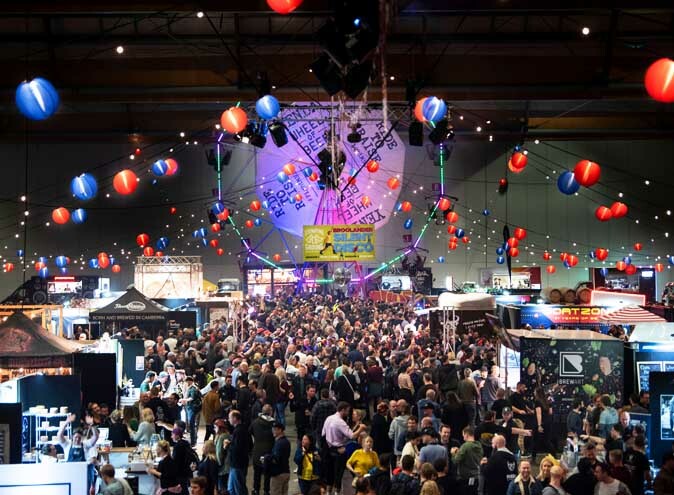 This family friendly institution is one of Sydney’s most iconic venues. Nestled amongst tranquil gardens and famous for it’s stunning, elevated views overlooking Pittwater, the Newport is the perfect place to take the family for a comfortable, stress-free drinking and dining experience. There’s a playground in the beer garden to keep the kids busy for hours while you sit under an umbrella taking in the panoramic views. The relaxed vibe, typical of an Aussie family pub, is matched by the friendly service. An excellent place to catch up with friends, eat good food with a great view, and unwind! 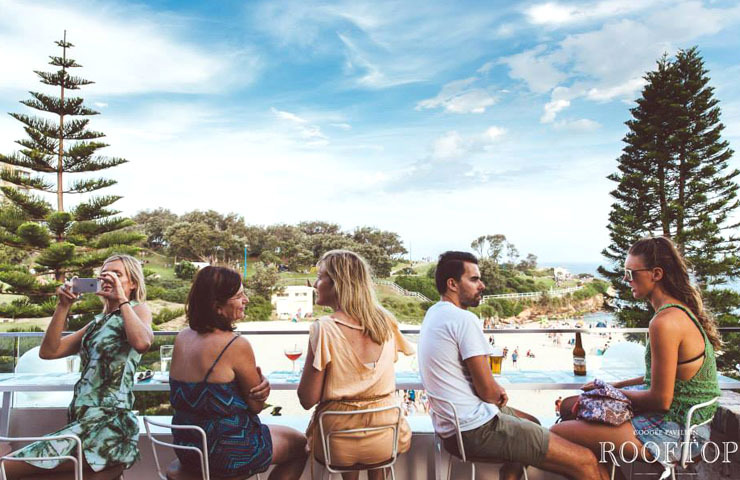 Just a short bus ride from the city, Coogee Pavilion celebrates friendship, family, fun and food, all with the stunning ocean views of Coogee. Dine in the family friendly restaurant downstairs, or head on up to the adults only Rooftop. 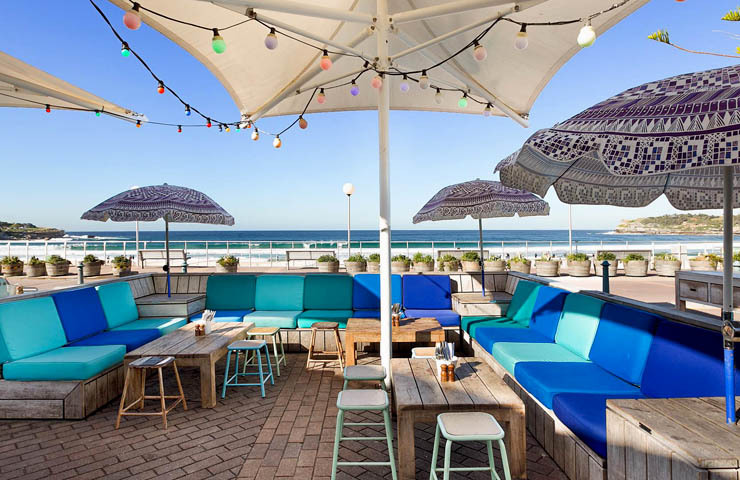 With four indoor and outdoor bars, Coogee Pavilian Rooftop is a fun, relaxed social destination for over 18s. Two fully retractable walls means the sea breeze is welcomed in on hot days, and the 270 degree views from the sweeping balcony are some of the best Sydney has to offer. It is as popular as you’d imagine and the early bird gets the worm, so secure a seat on the balcony by getting in early to make the most of the spectacular views! 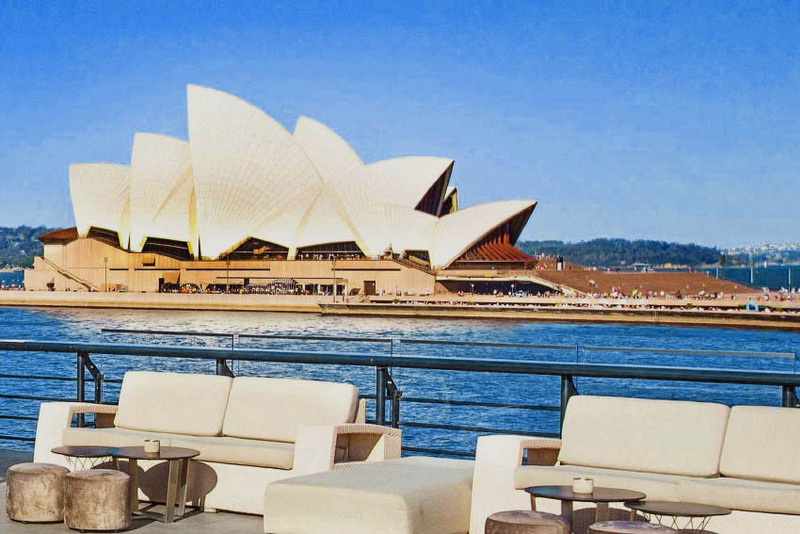 Opera Bar is a quintessential Sydney venue, boasting one of the best views in Sydney with cocktails to match. 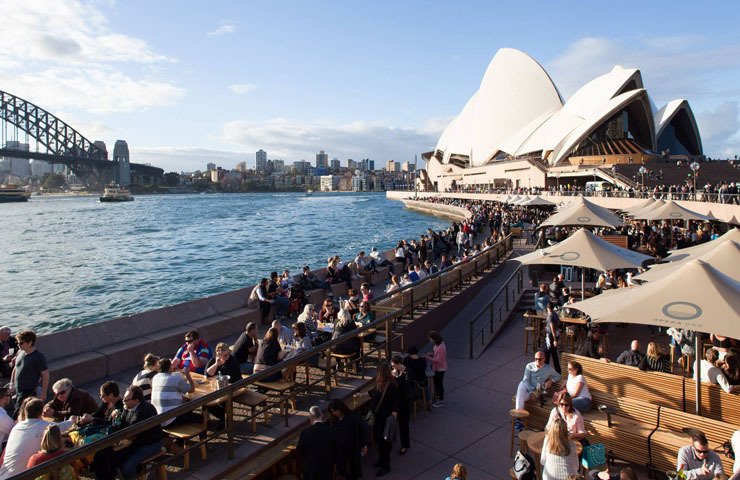 Tucked right underneath the Sydney Opera House on the water, it is the perfect place for a pre-show drink, to impress tourists, and a convenient central bar to catch up with friends. The views of Sydney’s sparkling harbour, the Harbour Bridge, city skyline and Opera house means you can get an Instagram worthy photo from any angle. Beware of the seagulls; unattended chips will be snatched up quicker than you can say ‘mine’. 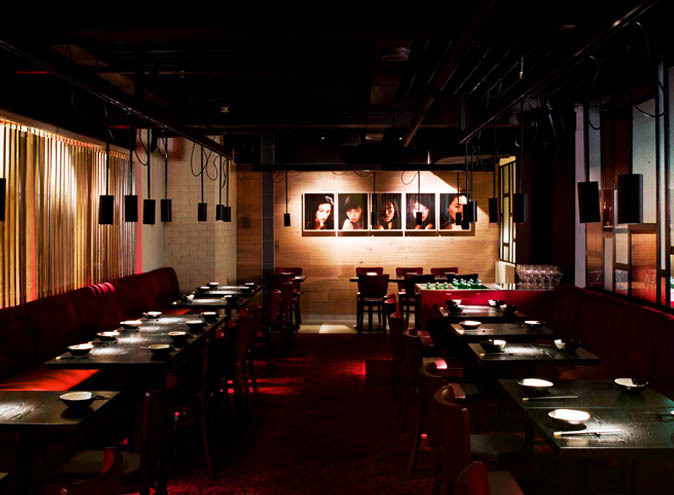 Hacienda is not your usual hotel bar. Tropical yet luxurious, this Cuban vista bar is an inner city oasis. The drinks menu heavily features fruit driven Cuban style cocktails, rum and American whiskey, with a food menu broad enough to snack or feast. The vintage décor of the Cuban inspired space has the feel of a 1950’s Miami hotel. Plants hang from the ceiling over pastel coloured armchairs. The floor to ceiling walls allow the sun and light to flood in, while also providing an uninterrupted view of our beautiful harbour. Sitting above it all, escape the hustle and bustle of the city and take a seat at the bar to soak in the ever breathtaking views.